The Sentry Dome Camera is available in three different formats; 960H Analog, HD-SDI, and HD-TVI. But for today we are going to talk about the Sentry HD-TVI and the Sentry IR HD-TVI cameras. The HD-TVI version has some great features like the ability to call up the camera’s menu from the DVR (or your phone or tablet) and even zoom the motorized zoom lens in & out to suit the view you need – or also to simply zoom in on something you need to see closer and in more detail. The true day/night telephoto zoom lens will adjust from wide angle (3.5mm lens setting), or zoom in almost 5x as close (up to 16mm) all remotely through the DVR or your phone and tablet. The Sentry HD-TVI Infrared Dome Camera has 40 high-performance infrared LED’s. These high performance LED Infrared lamps to throw out invisible Infrared Lighting as far as 100′ outdoors and 165′ indoors. Plus – we have included the Smart IR feature that will automatically brighten or dim the Infrared LED’s to deliver just the right amount of Infrared Lighting in every scene. The Smart IR feature ensures that a person or object that is very close to the camera is not overexposed, which is what happens to many standard IR dome cameras where the IR Light is too strong and causes the person or object to be washed out with too much light. This feature also increases power to the Infrared lamps when a distant object or person is in the scene. This Smart IR feature can be turned on or off via the Menu. The Sentry dome camera housing design is the best in the industry. Here is why; it is sealed against moisture and dust (IP68 Certified). The built-in heater protects the camera from extreme temperatures (-40 degrees below zero). The plexi is American Polycarbonate Dome that is crystal clear with no distortions. There are several ways to mount the camera surface mount, flush mount or with the optional wall mount. The installation is made then easier with the American 3/4″ conduit openings that take any metal, plastic or liquid-tight pipping. There are even more features than this, check them out on our website or call one of our Sales Engineers for more information at 866-264-0041. 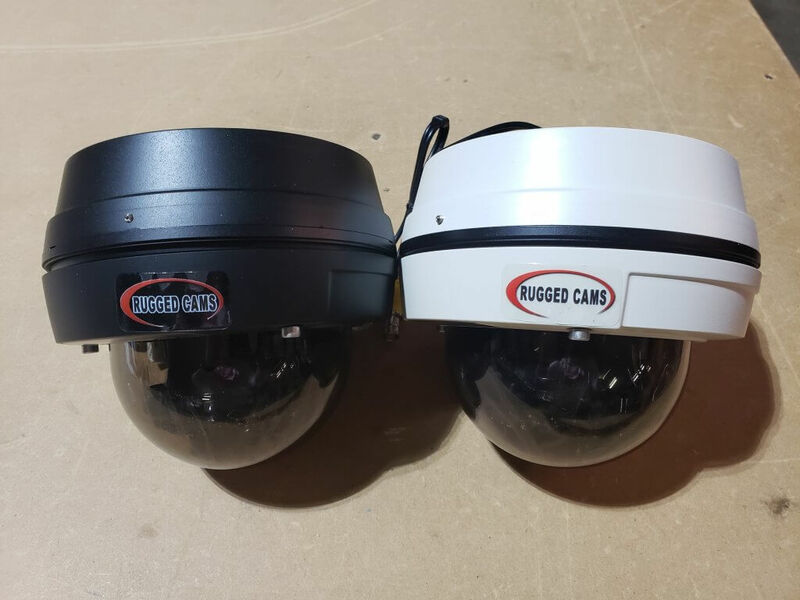 This entry was posted in Blog, Security Cameras, Security Cameras for Business and Industry and tagged Dome Camera, security cameras for business, security cameras for home, security cameras for office, security cameras for retail stores, security cameras in warehouse.